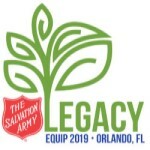 The Salvation Army Youth Workers Conference operates within three main concepts: to inspire, to encourage, and to train. EQUIP is about providing support, encouragement, and training to those who work with youth within our camps, corps, community centers, and SABGCA’s. PLEASE NOTE THIS CHANGE: If you are a BFI, you need to be present at the Pre-Conference for the entire day. If you are not a BFI, there is not a Pre-Conference for you but we will hold mini-sessions in the afternoon. YOUR REGISTRATION IS NOT CONSIDERED APPROVED UNTIL YOU RECEIVE APPROVAL FROM YOUR DIVISION.